These Tic Tac holders made great place cards at my recent Stampin' Up! workshop. Are you in Orange County, CA and needing a monthly creative outlet? You are invited to come to my workshops! We always make three cards and have a great time. I usually make some sort of take away favor for each of my guests! Let me know if you would like to be on my invitation email list! The pattern for these lovely boxes came from Erica Cerwin. I love the special people who constantly engineer boxes to put treats in! They buy a product and then figure out how to "wrap" it in paper! One of my favorite things! I love playing with paper! Thanks for visiting today! I would love to read your comments, so please leave me one! 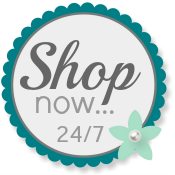 Use my Online Store to order your Stampin' Up! products! Always fun and inspiring! !join us!